BERLIN A fire broke out Monday at a workshop for disabled people in southwestern Germany, killing 14 people and injuring at least six others, authorities said. 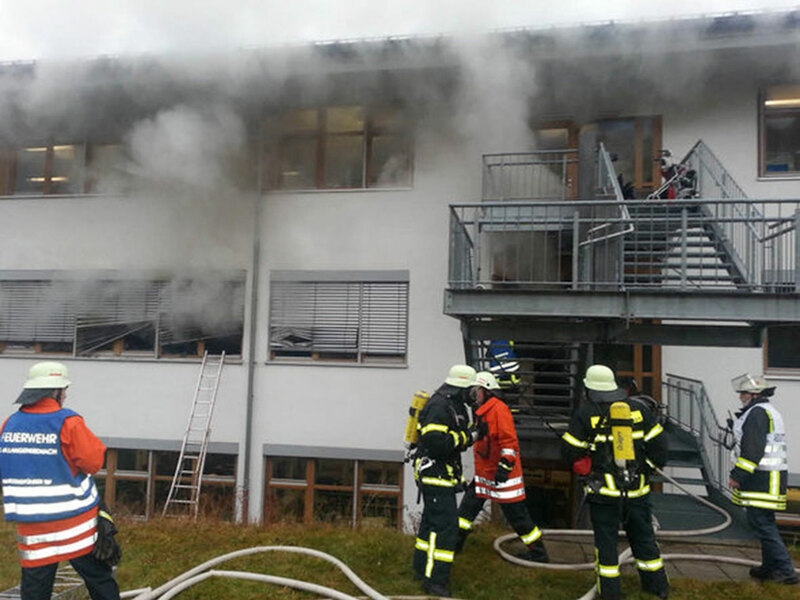 Markus Straub, a spokesman for local firefighters, said there was no immediate information on why the building in Titisee-Neustadt, a town in the Black Forest near the city of Freiburg, caught fire early Monday afternoon. The injured all required medical assistance, but Straub had no detailed information on how severe their injuries were. The center employs some 120 people with either mental or physical disabilities in a variety of jobs including metalwork, woodwork and electrical installation, according to the facility's website. It is run by the Catholic Church's Caritas organization. Some 100 firefighters were deployed to battle the flames, Straub said. Dozens of ambulance workers were at the scene, and smoke poured from windows of the modern, three-story center. There are usually 100 to 120 people in the center at any one time, police spokesman Karl-Heinz Schmid told Suedwestrundfunk radio. "It will take days to investigate what caused the fire," he said. The town's mayor, Armin Hinterseh, said the center's buildings were quite new. "It is devastating. We now have to find out how it happened," he was quoted as saying by local daily Badische Zeitung. Baden-Wuerttemberg state governor Winfried Kretschmann rushed to the scene, his office said.